A lot of people have been asking for this, and now there is a solution for all customers worldwide… Adobe’s recent CC 2019 release of creative desktop tools has been well-received, but some folks prefer not to have a monthly payment on their credit cards or would rather prepay for their Creative Cloud member­ships upfront, a year (or more) at a time. This used to be tricky, but fortun­ately there is now a very easy way to do it for all products available. For each different Adobe subscription plan, you’ll now find a dropdown menu with a One-Year Prepaid option when buying or renewing your Creative Cloud subscription. These prepaid plans are offered in up to 83 countries and allows you to make a one-time charge in advance of each year, rather than a smaller amount each month… It solves the problem for those who may have difficulties with month-by-month recurring pay­ments, and it’s avail­able for all different types of memberships: Individual, Educa­tion, or Business; including upgrades from older software. The only thing to keep in mind about prepaid memberships is that cancellations are not possible after the initial 14-day refund period has passed. By contrast, the alternative monthly-billed annual plans are cancellable, but with a termination fee. There are a couple of interesting points about being able to prepay your CC subscription. First, it means you do not have to keep your credit card on file with Adobe if you don’t want to – instead you can simply make/authorize individual annual purchases as needed to maintain your member­ship. The second aspect is important for those customers who are worried about possible future price increases for Creative Cloud… While we believe that concern is not a major one, if you are uncertain about it then you can easily use the prepay ability to lock in your price for the future. Two additional and important notes on the BestBuy.com prepaid CC key cards: If you want to, you can use PayPal to buy them – the same as Adobe, who recently also started accepting PayPal for Creative Cloud subscrip­tions. Keep in mind, however, that any products not purchased direct from Adobe are not covered under the company’s ironclad 14-Day Full Refund Policy, which even extends to software that has been opened, installed, activated, or used. By contrast, opened computer software is generally not returnable to retailers, resellers, or e-tailers. Do you have any further questions on how all of this works? Just ask them below and we’ll get you answers fast! For example, Amazon.com used to carry them but stopped selling them entirely a couple months ago, though you can still find them at BestBuy.com as we mentioned in the article. Now though, it’s easier than before because for the first time, you can get the same prepaid CC plan direct from Adobe without having to hunt around, and without needing to have your credit card on file if that’s important to you. [You’re already subscribed to the Creative Cloud Student and Teacher Edition (one-year), US $19.99/month plus applicable tax. See your plan details. Want to take advantage of our promo for this product? Please contact Customer Support to see if you qualify. I haven’t tried Customer Support yet. Let me know if anyone has done this. Hey there James, the new prepaid plan direct from Adobe is not stackable – meaning you can’t add it on top of an existing membership or switch to prepaid from monthly in the middle of a membership; you can only do it when initially signing up or when renewing an expiring subscription. However, the Creative Cloud Pre-paid Key Cards available from BestBuy.com (which are offered for individuals @ $599 or students & teachers @ $199) are stackable on top of current CC memberships (or each other). So that’s the way to go if you are already a member. After purchasing those cards, you just enter the redemption code into your Adobe account and another year will automatically be added to your subscrip­tion for each card. Note that all the different prepaid options discussed in this article work equally well for either Windows or Mac OS… You are allowed to install & run the software on up to two computers, including both types of systems. Hope this helps! If you have additional or follow-up questions, just post back. They’re also available at Staples and if you sign up for Staple emails, you will get the occasional coupon which is good for just about anything including the pre-paid cards. Then go into the store if you’ve got one closeby and you can save a fairly good amount (typical coupons are 15%-25% of anything in the store). Added benefit to those worried about hacks is that you can pay cash. great news, have been waiting for this. As it happened I phoned up the French office this week asking about a single yearly payment and no CC (credit card!) details on the Adobe site and was told that the only way to do that was to buy from a reseller like Amazon. Maybe I was 2 or 3 days too early, but the person I talked to did not give me the impression at all that this about to to happen. Maybe he knew nothing of it, maybe was just didn’t want to be helpful (if so he succeeded). I actually called to see if there was a way to transform my current monthly pay-as-you-go subscription to a yearly one. Presumably that isn’t possible – I’ll have to wait until my current subscription comes up for renewal. 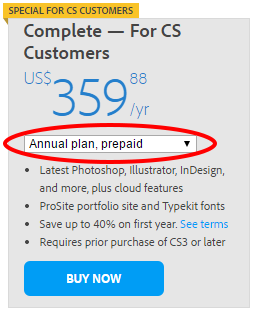 But of course it’s more convenient with Adobe now offering the same prepay option direct. Also, we’re trying to confirm if you can switch over from an existing monthly-paid CC membership to an annual prepaid subscription, before it expires or comes up for renewal… Generally speaking, Adobe does allow changing between different types of CC subscriptions (by first buying the new one, and then canceling the previous one), so it should be possible. Possible to change from CCM monthly payments to prepaid plan? Is it possible to switch from my current $49.99/month Creative Cloud membership (in the middle of the year, before it runs out) over to a fully-prepaid annual plan for $599? Would love to get a definitive answer on this from Adobe, to pass along to the customer – thanks! Yes, you can switch from an existing month-to-month subscription to a pre-paid one without penalty. You purchase the new subscription and it will be for a year starting on the new date of purchase. Generally, we don’t allow duplicate subscriptions under the same Adobe ID, so things can be automated. Just go slowly and be careful to make the correct selections during the process. I just used the pre-paid card from Amazon to extend my Student CC membership another year. Amazon is still selling them for $199. Hello again James – Amazon must have a few left because they generally have stopped carrying the CC prepaid cards, and have no stock in any of the other types (regular CC membership, Photoshop CC standalone, etc). However, we generally don’t recommend trying to buy Student & Teacher Edition software from anywhere besides direct from Adobe anyway, because if there is any issue later with the required academic validation and verification process then you won’t be able to return the opened package you purchased, and would be stuck with something that can’t be used or resold. Are you really sure that the credit card data aren’t kept on file with Adobe, for the one-year prepaid option? I tried to simulate a purchase of that option, by loading only the first page, and it said something like it would be automatically renewed after a year: which probably means that they still store the credit card info in the system, in order to charge the card again after one year. Or is there maybe an option not to store that info (and thus not to auto-renew), if one proceeds to the subsequent pages of the purchase? Yes. If you are concerned about security and storing your credit card details, then you can join the Prepaid CC membership for a year and (after the payment transaction has gone through) remove your financial information if you want. After that point, only the last four digits of the credit card number will remain in the account. You don’t need to get a Customer Service rep involved to do it – but if you encounter any issues, just contact them and they will be glad to check and help out with that. Probably, anyway, I’ll just use a rechargeable card dedicated exclusively to paying the CC membership for one year and more (thus, no problem if its data are stored online; anyway, let’s really hope that their servers won’t get compromised again). BTW, strange that the retail prepaid key cards aren’t yet available in Europe; at least, in Italy, where I live, I haven’t seen them, yet (and nobody sells them online, here, either). Hmm, that’s strange that the prepaid key cards (available from resellers like BestBuy.com in the US) aren’t offered internationally in Europe. But you definitely hit upon an additional option we should mention. You can also buy any Adobe product with a “virtual” credit card number, which many card issuers provide at no charge. Also called “disposable” or “temporary” numbers, these are not actually separate new cards but work from your existing regular credit card account. The unique numbers are given to you by your card company at your request and have short expiration dates – so are very useful for one-time or short-term use, after which they expire and become invalid for any future use. For vendors, they work like any normal credit card number, there’s no difference at all. So they can be a useful option for an online purchase anywhere, if you are concerned about data security. Or if you have a standard credit card that is rechargeable as you mention, that of course works fine as well. Yes, that’s of course also an option, with a virtual credit card number. … As for the retail keycards, in Europe, for example, Apple’s iTunes or App Store cards are very easy to find, in sizes up to 50 €; but I have never seen an Adobe CC card, yet (maybe they are coming, anyway, who knows…). As mentioned in the article above, for customers in North America, BestBuy.com accepts PayPal as a valid form a payment for everything, including the 12-Month Prepaid CC Key Cards. However, nobody we know takes Bitcoin at this time ;). “You can’t use cash online. But please, always use a credit card, not a debit card. The fraud protections are much better and a hacker can’t overdraft your bank account with a credit card. The card is not linked to any of your bank accounts or anything like that, and you can get then from Woolworth (in Australia). Hey Daniel, great to see you again, hope you’re doing well – and thanks for passing along the tip! 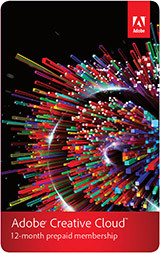 Just a quick question regarding the prepaid membership for students and teachers, i know that if i was to purchase this through the monthly subscription i would need to provide proof of my education and wait for Adobe to get back to me. one thing i have noted is that my local dealer requires sight of student ID’s before selling the prepaid cards. does that mean that this is the only proof i need as this would be much easier or will i still need to send off proof of education to Adobe. Yes Connor, but it’s even easier that that… If you have a school-issued email address, then you are instantly verified with Adobe. They also accept other forms of verification such as your student ID, which can easily be submitted electronically without going anywhere. See the complete list and details here. 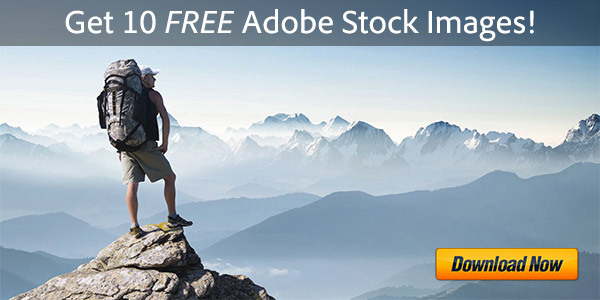 It’s also safer to buy direct from Adobe because if you have any problems with validation or activation, or wish to return your purchase for any other reason, then you can get a full refund from them within 30 days – whereas resellers and retailers almost never take opened software back. Hi, my local retailer sells the Adobe education yearly subscription cards. I am going traveling as a student for a couple of years and I know for a fact that some of the countries I will be in don’t offer the subscription cards and I prefer to purchase them upfront, rather then have my CC details online. It will also eliminate the need to budget for the subscription cost while travelling. The store will allow me to Purchase two Adobe education subscriptions cards (while citing my Student ID). My question Is will Adobe require additional verification while I’m travelling and using the second card subscription? or will the initial store-citing ID be enough? I’m not worried about not being able to return the product as I am an ongoing Adobe user and wouldn’t need to return it for any reason. Hi Jack, thanks for your question. You can usually stack those prepaid cards up no problem, although with the CC Student & Teacher Editions you generally need to revalidate your academic status at the time of original purchase and then once every 12 months at each renewal. Hope that helps, and have a great trip! Do the prepaid Photography Plan cards have an expiry on them? For example, buying a gift and the card will not be redeemed for a number of months. Hey John, good question. We haven’t seen any redemption expiration date on the CC prepaid subscription cards – so as far as we know, you should be fine. I want to renew my Creative Cloud subscription, at first our company purchased it using the business package, but since we are tight with the budget, I want to renew it under the individual package. Is this going to be okay? Greetings Emmielou, that should fine; Adobe doesn’t restrict it one way or the other… People within businesses can certainly get the Individual CC bundle. When your membership is up for renewal, you can just cancel one, and then purchase the other. This can all be easily done online. You mentioned we can buy as many of the prepaid cards as we want, and stack/extend our subscription. I am wondering since the online Student discount deal for about 60% off the full price is only for the first year, after which the discount lessened to 40% – does this affect how many times students can buy and use the Prepaid Education edition 12-month card? Since that would be a constant, set price (roughly the same as the first year of the student discount deal), versus the changed price after the first year if you were to subscribe directly through Adobe. In other words, those can only be activated so long as you can demonstrate your ongoing educational status. And as far as we are aware, each academic customer can only get the 60%-off discount promotion once, for their first year of membership. Assuming ongoing educational status, is it possible to purchase the Student prepaid card more than once to extend the student subscription beyond one year? I’m confused as the one-off 60% deal yearlong payment amount is about the same as the prepaid card, but that amount would only be available for the first year, whereas it seems you could lock in the prepaid card price over multiple years? Just want to know if prepaid cards would be a viable way of paying for student membership. Sorry if this is unclear at all. No, what you’re asking is not unclear – it’s just that nobody’s ever asked that before, and so we don’t have a proven answer. As noted above, the 60%-off promotion rate that all education customers receive is said to be limited to your first year only. Then it becomes a 40%-off savings for subsequent years. Our guess as to what might happen if you tried to use a 60%-off CC Student/Teacher product key card to add a second year for an existing education membership is that Adobe could disallow it. Also, to our knowledge, all sign-ups and renewals of the Creative Cloud Student/Teacher Edition are subject to academic eligibility confirmation in order to receive any level of discounted pricing.